Mankind has grown mighty and just on the shoulders of its ancestor's sins. Yet among the hoards of the enlightened, there are still those few men who succumb to the temptations of our past. While the application of Zefram Cochrane’s brilliance has been put to use, pushing our species virtues ever more into the greatness of space; these few have hidden in the wake of expansion, escaping their guilt, misconduct and reputations not only across borders but across planets. Welcome aboard the SS Mary Rose, a pastiche of a ship hailing from an era bygone, past checkered and history dubious. In all rights, she should have been moored in a museum, stripped of her warp core, drained of her chattels and propped onto a pole, a lifeless husk on display. Yet the SS Mary Rose has a tireless manner of slipping through the tight noose of fate, her history managing to have her plucked from her quietude and salvaged by a greedy merchant with an eye for earnings. Dragged from her stationary cradle adrift in the void, The SS Mary Rose is once more venturing the black. Now crewed by an itinerant band, whose motivations are questionable and approach is fly-by-night, the Mary Rose has been cast into the role of privateer vessel. Such craft find work only when wandering the outskirts of lawless space; their reputations, actions and mannerisms ensuring they remain unwelcome in the polite society of most UFP worlds. This simulation is based on the dark side of Star Trek, people living on the very edges of the Federation. We focus on quality writing and not quantity like so many simulations out there allowing the story to grow in our own way, letting characters and our community develop. We are based in the Task Force 72 of Obsidian Fleet. As per ship vote, we are moving on from Shattered to something a little less intense to give us a chance to refocus. It has been six months since the fateful adventure in the Alternative Universe. People have come and gone but the crew of SS Mary Rose continue to strive to make a way for themselves in the universe. A delivery of soil from Phados IV to Daucina Prime has given everyone a chance to take some much-needed rest and relaxation. This is the mission planner where you can sign up for plots or create your own. Anything shattered related can continue until the end of the month if you have ongoing posts. As usual, any thoughts or questions please PM me. As I've mentioned a few times on our discord chat we have been working on some achievements. We had them done for while but with RL stuff we've had no time to add them to the site or even announce them. You can find the ones at the top are ones that you can get at any time and the ones labelled with Shattered are just available for that mission. Warp Drive – Collect Three ‘Hyper Drive’ badges. 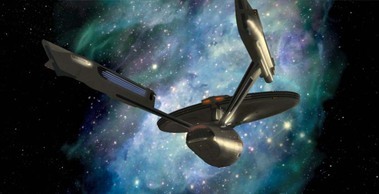 Faster than light - Collect Three ‘Warp Drive’ badges. Spree Mark I- Post a quality post or log once a day, for 5 days. Spree Nark III- Post a quality log a once a day, for 15 days. The right tool for the right tool – Write a post with any of the engineering team where something has broken. I’m not that kind of doctor – Write a post with a member of the science department. Go on make my day– Write a post with someone from Security. Triage – Write an emergency. Haven’t done an end of month report or anything for AGES… but I felt after last month it was important to tell you all that you are all awesome individually and as a group of writers. I know last month was hard work with us all ill, holidays and rough work weeks but we all managed 13 posts and 38 for participation which is awesome seeing we lost very active players last month and we have two LOA’s. If you are stuck for something, come to me I always have ideas up my sleeve and if you have a character on Cosmos even more with our NEW joint post challenge . If you haven’t seen our fleet is currently voting for End Of Year Nominations are open from now until 16th of December at 9pm GMT. If you think anyone is awesome around here please VOTE HERE . Any thoughts or questions please pm me or contact me on discord. Hello all! Your friendly IT XO here, ready to come at you with another update of fun and excitement! As you may well know, this site is well overdue for a giant overall. I'm not just talking front end, but back end as well. From the sim skin, to the rank pips, even down to some of the really gross background code and guts. When we redid the site way back when, I had veeeery little knowledge on how to properly work Nova. Now, I know a little bit more on what to touch and what not to touch, but at the end of the day, I have a hard time revisiting the parts that I've already hideously wrecked, and I'd like to rectify that. So, as such, this will serve as a sort of pre-maintenance warning as I rip out all the Nova code and do a fresh reinstall of the whole thing, but this does mean site downtime. This will occur over the weekend, but do expect me to make loud noises about it beforehand on the Discord. I don't expect this to take more than twenty four hours, but if something does occur, I will be keeping everyone posted. This maintenance will occur tonight or tomorrow, and I will let everyone know every step of the way. Thank you much! I want to properly get this mission on its way now as it gives us so many amazing opportunities to write some awesome stuff. 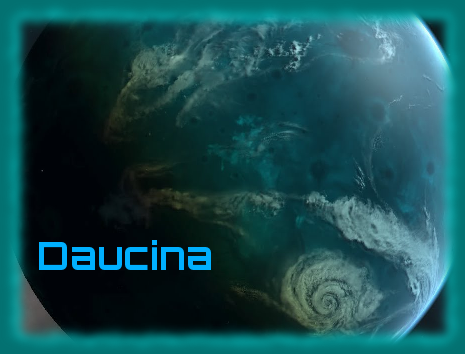 We have prepared an AU timeline and a mission guide for a list of who is who is in our world. Anyone want to discuss an AU version of a character please just send me a message and we can fit you in on the two ships we have to play with. » How Big A Mess? The Hundari Void had bent but it hadn’t broken Alexis in the slightest she was still healthy looking even if her eyes no longer held the carefree look that they used too. Everything was coming back together but it might never be fully healed. » Status Quo has to Go. Hal took out a recorder he had with him as he sat in a shuttle on his way to his new posting. I am writing to inform you that I have received your message that addresses your concern about my joining a group of somewhat ill-repute and taking a position aboard an unmonitored and potentially illegally obtained vessel.